Typical nose Lagavulin, the rest is less accurate, less successful. Not the best laga in my story. I have trouble with the release 12 years overall I think. 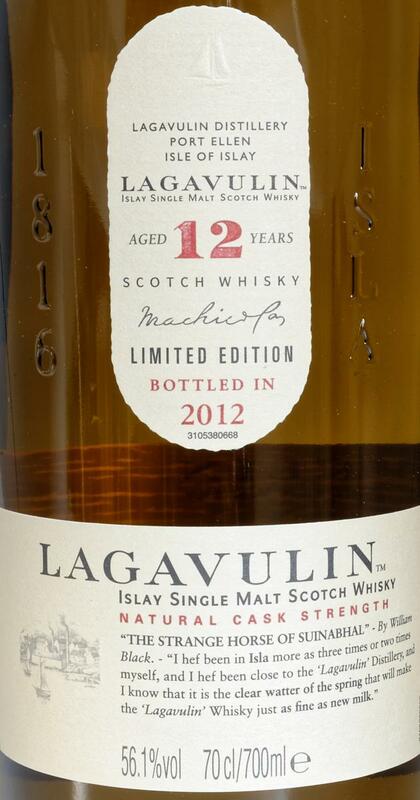 A lemony freshness, a mineral peat close to copper ... we are well at Lagavulin. Added to this is cowhide leather and fruit compote. Nice attack, strong power. We are always on lemon and mineral peat, it stings and it is citric by moment. With time the peat becomes malty. Beautiful length on mineral peat, leather, bitter cocoa and a vegetal and floral touch. 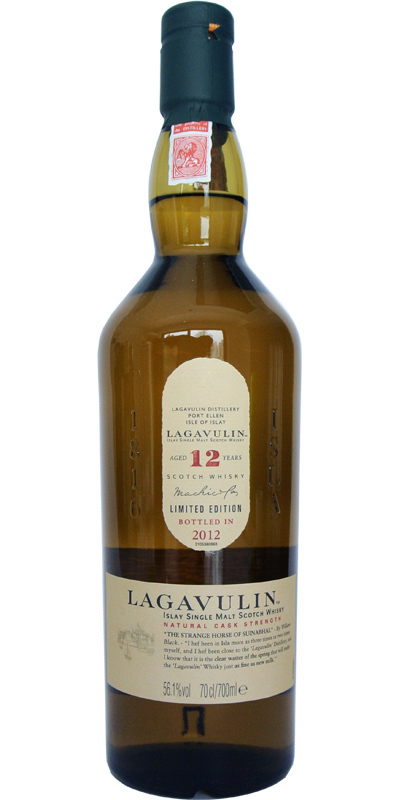 With the 12 CS Lagavulin does a great job every year. Hmm, citrus and cold smoke. Fresh and sweet at the beginning, then becoming heavier with gum, tar and salt. A great nose. Sweet smoke hits the tongue without slaying. Ash flakes pull through, freshly squeezed lemon juice comes. It is strong undiluted, but the alcohol is very well integrated. Peppercorns and salt give it after a while a certain sharpness, but smoked lemon splits come after a while and soften the sharpness again. Long and slightly dry, ashen, lemon-sweet. On the nose, peat and leather, meat, but also lemony freshness, cereals and a hint of chocolate. Salted mouth, final dominated by smoke as if emanating from a campfire, acrid, tenacious, ashy. Which is never dominated by two successive additions of water. Pretty impressive. Rich peat, both a little earthy and sweet. It quickly becomes maritime, iodized and always sweet / vanilla. In continuity, always this peat sweet and very young. A beautiful filling as a change to the 16-year standard without the heavy sherry tones. First a clear alcoholic note, which retreats after a few minutes in the glass. The smoke is naturally present. In addition, the salty sea air. Something cooling, maybe mint. Then there are citrus fruits. For me rather lemons / graprefruit than orange. With a bit of heat, a white pepper sharpness appears. Some smoked ham. The smoke continues to cover a lot. His character goes most towards Cheminee, complemented by some charcoal. Maritime flavors fill the palate. In the finish, the smoke changes again briefly into the background to give the salt room. He then returns impressively and long-lasting. Until, surprisingly, it allows the influence of the barrel to influence the oak.